What was I thinking? I was thinking this Euro Chic thing would be super easy. 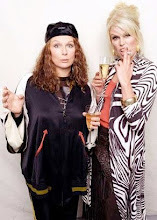 I like Euro, I like Chic. I could throw together some random pieces from my closet and just coast for a week. I got this, thought I. That is, until I started reading the fine print. 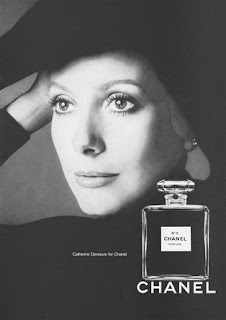 An accomplished French actress and model (she was the face of Chanel for many years), Catherine Deneuve continues to be an inspiration of grace and style. Truly, she doesn't seem to be aging much at all. Many people remember her for the film Belle Du Jour, a moral tale in which she played a woman with a scandalous day job, but I love best a movie she did in the 60's that was an Academy Award winner, The Umbrellas of Cherbourg, an odd musical with a jazz score, all in French—which she sang beautifully. I love it so, even though it makes my husband cringe. 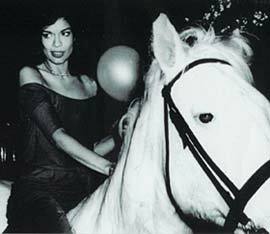 Bianca Jagger, aside from being married to that rock star dude, represented a whole era of wealth and excess: wearing Halston, swanning around Studio 54, and hanging out with Andy Warhol. Nowadays she's a human rights activist with a colourful past, and still plays the part of a very expensively dressed socialite lady. 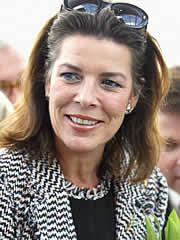 Princess Caroline, the first born daughter of Grace Kelly, is the Princess of Monaco, where even the homeless people (if there were any) have better label acumen than I. Is there really more that needs to be said about her fashion reputation? I relate far better to Caroline's wild-child younger sister Princess Stephanie . . . but that is not the challenge at hand. I love fashion. I get fashion. I have shopped in really expensive stores all over the world, and I know the difference between hot sale and haute couture, but these are some big shoes to fill. These are women who embody timeless classics. These are women who would probably never be caught wearing denim, certainly not shredded. But let's read on anyway, shall we? The signature look for Euro Chic includes lady-like jackets, expensive fabrics, and structured handbags. The key pieces include a big scarf, a well-proportioned oversize blazer, an elegant day dress or sheath, and a silk blouse. The colors are creams, blacks, greys. The heel heights are all sedate—nothing too high or too gaudy. The Lucky Guide seems to assume that these things are all theoretically in every woman's closet. In short, the look is all about rich old lady clothes. Think: Hermes, Lanvin, and Chanel. This has all the Euro Chic elements: lady-like jacket that mimics the shape of the classic Chanel boucle jacket, a big fancy scarf, and a silk blouse. The colours are classic black and silver with red accents. If my wool trousers had been back from the cleaners, I think they'd have been a better choice than these cotton trousers, mainly because they were more expensive. Closeup of silk blouse and giant scarf. The scarf is huge, vast, and the perfectly Euro Chic. Also, it's really big. I'm loving the big scarf thing, it's a great alternative to trying to pick out exactly the right jewelry. Day 2, I hum some jazz, and land on this. jCrew black pencil skirt, jCrew Outlet pearl grey silk ruffle blouse, BCBG pinky-silver python kitten-heel mule. I got many complements on this outfit, which I was not expecting. I'd been wearing the ruffle front blouse paired with cargo pants and heels, and forgot that it was actually a really dressy piece. I found these shoes languishing in the back of my shoe pile. One of my first forays into heeled shoe purchases, they feature a modestly low heel and are made from some expensive looking reptile. Note the J-Lo chain jewelry from Moi's closet: very Euro Chic in look, very not expensive to buy. Princess Stephanie probably has a bajillion little day dresses and classic cut sheaths with pin tucks, but I bet hers don't look wrinkled the second she puts them on. Marimekko for Anthropologie sheath dress, almond jCrew Juliet patent heels, pearls. I love this dress, it has a flattering cut with an interesting pattern that doesn't overwhelm, and it hides so many flaws. I seem to get compliments every time I wear it. Sadly, it seems to be made of the most wrinkly cotton blend in existence, and thus, spends much of its life unworn. If it didn't look like I slept in it, I might wear it more often. I burned a few brain cells to pull this Euro Chic thing off, but don't look too closely. Anyone who knows anything about labels would probably see right through my attempt at looking like I drove my gold-plated yacht to work. This is a look that can be parodied with less expensive clothing, but not achieved convincingly with the kind of labels I can afford. I admit that the look did make me feel like a real grown-up for a week, and was particularly useful for client meetings. I would totally do this look again, even though I dislike using the term "lady-like." Next up: Moi does California Casual. In her sleep . . .
Well done, grrrrrrl! I'm so glad you have been making such great use of my former closet denizens. I also very much adore that sheath dress. Über flattering and oh-so-pretty. But sweet Jesus, who does one call to complain about all that wrinkliness? Not. Fair. That's it! That's it! That's the look I was trying to describe! You found it! I'm all over the black and neutrals. I happen to own about 6 pairs of pants in various shades of brown and light brown. They are very very different. Also lots of black. So now we have something to shoot for, right?